Unfortunately I had done it all wrong and if my friend had called with king high he would have won as I had nothing. The pros do it better, so let’s look at three well-executed bluffs featured in this very interesting 52 minute video. The Action - Blinds 100/200, Lex raises to 600 with Ks Jh and Muenz calls with 7h 6h. Flop is 10c, 7s. 6c. Lex checks, Muenz bets $1,100, Lex re-raises it to £$5,000 total and Muenz calls the extra $3,900. The turn card is Qc. Lex bets $6,800 with nothing and Muenz calls with his two pair. River card is 4c. Still with nothing Lex bet $7,000 into the pot of $32,100 and Muenz folds holding by far the best hand. Lex tells a story throughout the hand and as it slowly unfolds before Muenz he is almost forced to fold on the river. Flopping two pair is great for Muenz, but not so great is the board holding two clubs. The checkraise by Lex is be consistent with a semi-bluff holding a strong draw and when Muenz calls, Lex has taken control of the hand. Notice how Muenz now watches Lex rather than the other way around, despite being in position. The turn card is bad for Muenz as it completes the many club draws Lex could have check-raised with and is consistent with his story. Seizing the initiative as he acts first, Lex bets out $6,800, showing real strength yet again. Muenz must be concerned here that his now weakish two pair could already be well behind, but he decides to call the turn bet and see what the river brings. The 4c completes yet more club draws and now Muenzs’ two pair feels very weak indeed. From Muenz’s perspective Lex raised pre-flop, check-raised the flop and bet into him out of position on the turn when the third club hit. He made what looks like a value bet on the river that is small enough to look like it wants a call. From Lex’s perspective he knew he had to barrel on the river in order to win the hand as his king high has no showdown value whatsoever. What I love most about the bluff is Lex’s bet size on the river. But it may also have been a reflection that despite his check-raise and turn bet, Muenz was still hanging around and could hypothetically call on the river. So perhaps there is an air of being conservative here too as Lex could have been walking into a made hand himself if Muenz had been calling holding a single club, only to hit his flush on the river. The Action - Blinds are $40,000 - $80,000. Gee raises to $200,000 with Ad Ks. Robbins calls with 8c 4c. The big blind calls. Flop is 7h Jh Ac. Gee bets $350,000. Robbins raises to $775,000. Big blind folds, Gee calls the additional $425,000. Turn is Kc. Gee checks, Robbins bets $1 million. Gee calls. River is Jd. 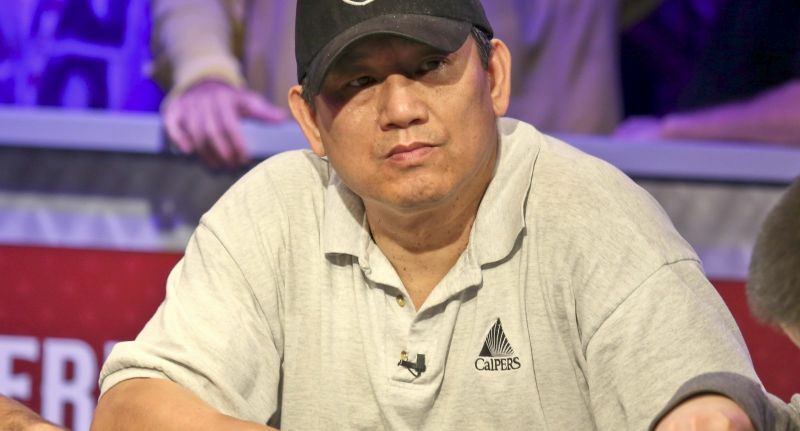 Gee checks again, Robbins bets $1.6 million and Gee angrily folds with two pair. Gee’s continuation bet after his preflop raise with AK is standard but what disconcerts Gee is Robbins re-raising his continuation bet. This reraise looks very strong and Gee must be fearing Robbins set mined 77 or called with Ace Jack. Gee would feel Robbins has to put him on at least top pair. If I was Gee I would also have a potential heart draw in my mind too. Gee calling on the flop and then checking the turn could be trappy with the intention of letting Robbins hang himself. Gee notes that Robbins remains totally undeterred, choosing to bet $1 million into the pot despite any potential traps. Again this looks strong. Looking visibly uncomfortable Gee calls the $1 million bet. When we get to the river, Gee appears totally spooked. Possibly due to his physical tells, which he makes no effort to hide, Robbins bets $1.6 million, again knowing he must bet to win the pot. Gee verbally states that AJ or sevens beats him. He folds. I think Robbins is a little fortunate here. His reraise on the flop could not be jacks, queens, kings or ace-king because he would have probably re-raised those hands preflop. That leaves AJ, pocket sevens or two hearts. Ace jack could have been called pre-flop and then having hit two pair it would be good value to raise top pair top kicker after the c-bet. The king on the turn improves Gee’s hand and I am surprised he does not take stronger action here. Gees check here is too passive. Perhaps he expected Robbins to take the free card with a draw. I think many players might have called Robbins on the river with two pair. Robbins could be barrelling AQ or a busted heart draw and despite Robbins betting on the turn which points away from the draw, I would have probably still called off on the river and said “nice hand” if he flipped over AJ or 77. AK is good here a lot of the time in my view. The Action: After a preflop raise from Vanessa Rousso (9h 9c), there are three callers in the hand with Roland De Wolfe (As Js), Phil Laak (9d 7d) and Phil Hellmuth(5d 2c). The flop is Qh Ad 6d and everyone checks. The turn is 6s and again everyone checks. River is 4d. Laak bets $18k, Hellmuth raises to $130k total and Laak eventually folds his made flush. 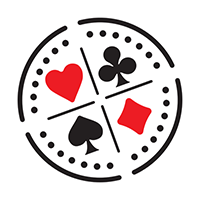 Would you have folded a flush with two low diamonds in the hole? I would have called I think, even if there was a chance Hellmuth had a better diamond than me. Laak is a really intelligent player and overthinks the hand in my opinion. He gives Hellmuth too much respect in thinking Hellmuth would not bluff in this spot. He may look back and note that with no players showing no interest in the hand on the turn Laak could have bet his flush draw at that point. Hellmuths raise was a good play and was based on everyone showing weakness during the hand that even though Laak bet it did not look too confident. I think this is a great bluff, but one based on Laak thinking “This is Phil Hellmuth, could he be bluffing here?” and deciding to fold. Hellmuth used his long-term image to his advantage in this hand. This video includes possibly the most famous bluff of all, when amateur player Chris Moneymaker bluffed Sammy Farha with king high when heads up for the 2003 WSOP Main Event bracelet and Sammy folded top pair. It’s definitely worth a watch. Pulling off a bluff is not easy and I hope the video helps you pick up some tips on how to do it like the pros.